Don’t you find the traditional stove-top cooking to be a bit chaotic? You do, right? The heated up ambience and the spilled curries often compel us to think of an alternative style of cooking. Fortunately, we are privileged to opt for the best microwave ovens as and when we feel the need. Consequently, you can cook a large variety of dishes without the usual hassle that is involved otherwise. In our fast-paced lives, technology is taking over everything and offering better output and quality in exchange. Using the old traditional way of cooking would indeed be underutilisation of resources! Microwave Oven has allowed for a new, easy and healthy way of cooking. 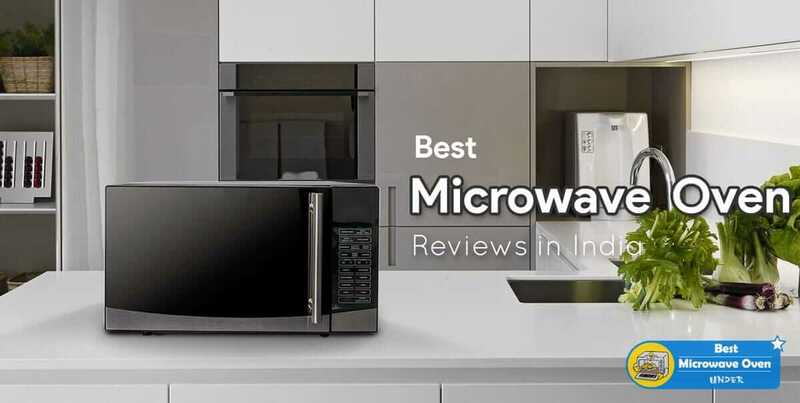 We’ve spent lots of man-hours testing and analyzing every competitive microwave oven to find out the best-selling microwave ovens in India for you. In other words, the following picks will appeal every household chef like you and me. We’ve tested different best selling Microwave Ovens from Amazon India, Flipkart, Snapdeal, Chroma and TataCliQ to find out if they are really worth their price. One reason to shop online is that most of the Stores sell you only that product, which brings in maximum profit to them. While online, you have a vast array of relevant products at your disposal. Whether it is your first time, or you are looking for a replacement for your old Microwave, this article has all the information to help you select the Best convection microwave oven. Although there have been some discussions in the past suggesting that using a microwave oven may affect the nutrient content of the food. I can’t dispute that or say they are wrong. But guess what I found out in a short research? Research from the Cornell University states that Spinach retains its nutrients when used in a microwave, but gives up about 77% of the nutrients when cooked over a stove-top. The Bottom line is, Convection Microwave Ovens don’t destroy the nutrients in your food. A a matter of fact, most vegetables lose micro-nutrients when exposed to heat or when overcooked. On the other hand, Microwave Oven often keeps the nutrients intact because of the shorter cooking times (depends on type). Now that you’re convinced with the Pros of owning a Microwave oven, it’s time to find the best one which precisely fits your budget. We have tested 30 Microwave ovens for how fast and how evenly they heat. In our tests, we cooked the following 3 recipes in each one of them. We have ranked all the Microwave ovens depending on how well and how fast these recipes turned out. 30L Capacity for big families. Comes with 360 Degree Rotisserie. Other pros are similar to IFB products. Doesn’t come with a Recipe Book or Starter kit. To start off the list, this convection microwave oven from IFB is arguably the most cost-efficient model in the Indian market. 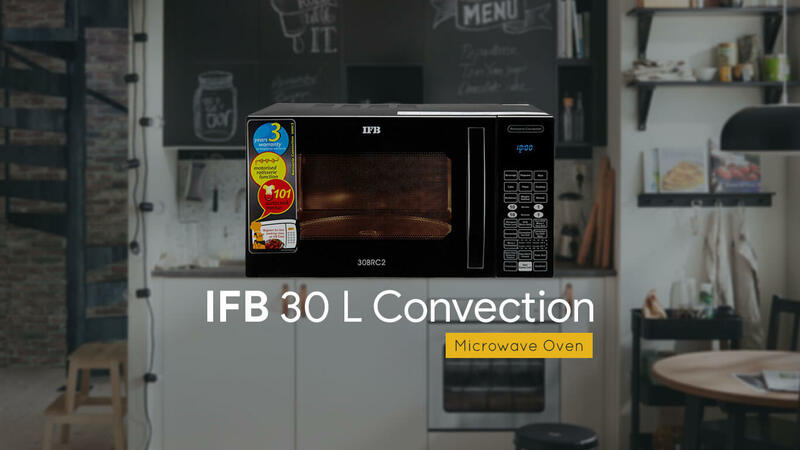 You might find microwave ovens from IFB repeatedly in this list of best Microwave ovens because of their low price, high durability and overall excellent customer service. I might as well state that IFB is arguably the best microwave oven brand in India. Along with a luxurious capacity of 30 L, this IFB Microwave is packed with a wide range of features. The features in this model are comparable to those of other overpriced models. 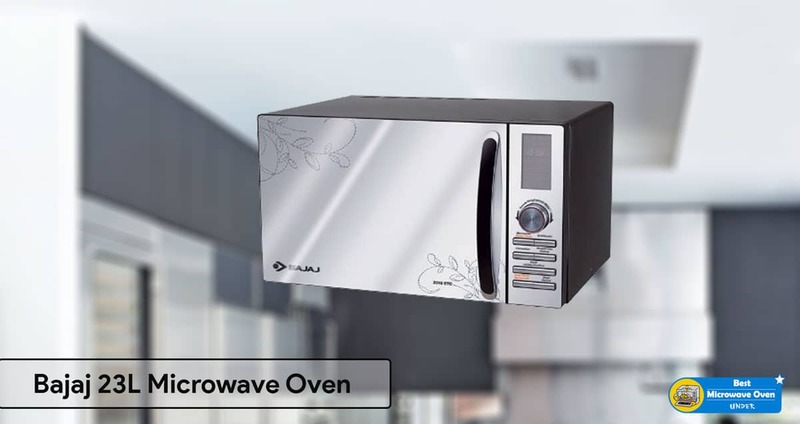 Although this Microwave is the best value for money pick, you can upgrade to higher capacity variants by adding a few thousand rupees to your budget. 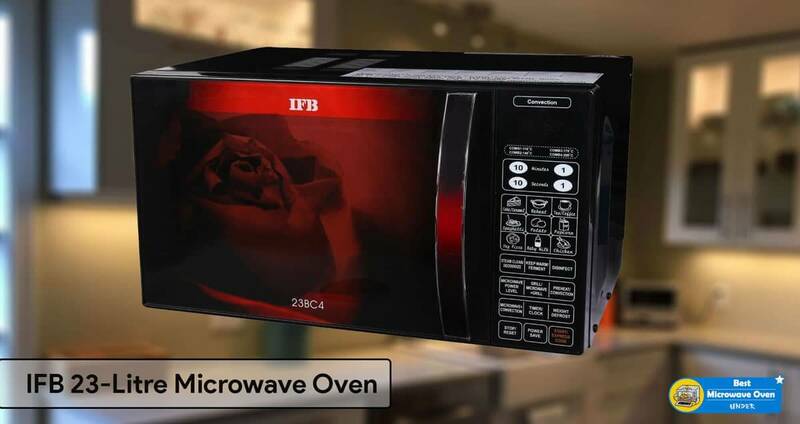 While this IFB Microwave is no different than the other IFB products mentioned further along in this list, this is the only IFB Microwave oven which comes with a motorized Rotisserie. A Rotisserie is a motorized process which continuously rotates the meat giving you that excellent juicy taste in every bite. It can also be used for paneer tikka or other dishes which are cooked raw into the stick. This particular model comes with 101 standard menu options and steam cleaning to make your overall cooking experience hassle-free. Coming to the looks, the oven has a floral design on the front door making it a highly aesthetic appliance. Moreover, cleaning the interior of the oven is extremely easy with the ‘steam clean’ option by your side. This microwave oven is packed with essential features like fermentation, Multi-stage cooking, Keep warm, child lock and many more! Families with little children wandering around in the kitchen need to have an oven that prevents unsupervised interaction. This is your pick if just had a related flashback. Due to the floral design, it’s hard to see the cooking process going on inside the oven. 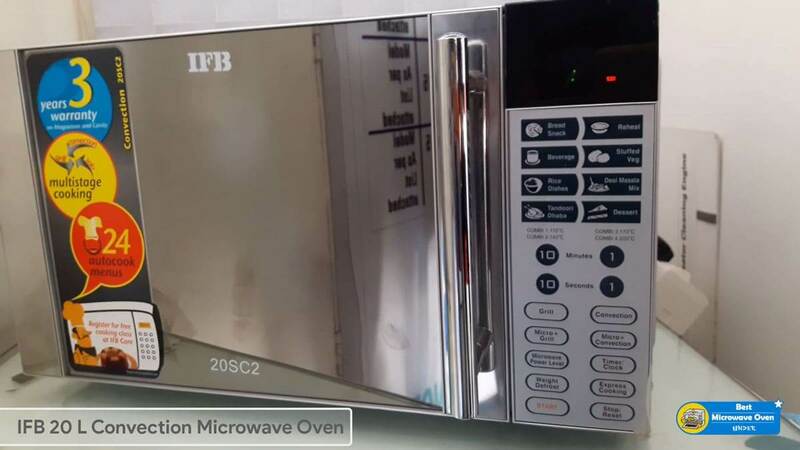 This IFB 23L Microwave Oven has excellent built quality, features, design and the name of a reputed Microwave brand. IFB is a well known Indian brand with a significant history of making kitchen appliances with a high focus on durability and value for money. The overall built quality of this Microwave oven is excellent and can last for a long time if well maintained. The floral panel in this Microwave allows keeping the heat inside the oven for a long time, which in turn keeps your food warm for a considerable time even after the Microwave was turned off. The IFB 23BC4 23-Litre Convection Microwave Oven has a 23L capacity which allows you to cook the right quantity of food at a single use because of its enormous size. This oven has up to 10 power levels, and the temperature can be raised to a maximum of 220 degree Celsius. I have baked cakes and pizzas which came out to be perfect. Overall during my review period, the oven worked great, and after delivery, IFB even called to confirm the demo session. Also, the Fermentation feature in IFB 23BC4 Convection Microwave Oven takes care of yogurt preparation. With Deodorise/Steam/Disinfect, the microwave and utensil remain clean no matter how frequently you use this appliance. With a 40% saving on power, look no further. IFB offers a 1-year warranty on the overall product and for essential parts like Magnetron & Cavity they provide three years warranty. You can check the full IFB 23BC4-23 L Review. If you’re an Indian, you might be aware of the quality of electronics Samsung offers. This Microwave is the best in the class with massive capacity and a ceramic coating inside the microwave oven. The traditional microwave has a Non-stick or black coating to enhance the heat flow inside the oven, but it gets removed after some time. The black Ceramic Enamel coating inside this Samsung Microwave oven doesn’t come off, unlike traditional Non-stick coatings. If you don’t believe me, Samsung provides a lifetime warranty of its ceramic coating inside the oven. This Oven also comes with Auto-cook menus, which has over 30 auto cook menus which can cook delicious food with a click of a button. If you’re somewhere who is looking for an Air Fryer along with a Microwave, this is a go-to Microwave as it comes with Slim fry. Now, What exactly this Slim fry does? The revolutionary Slim Fry Smart Oven circulates hot air, creating food with a crispy texture and moist interior using only a touch of oil. 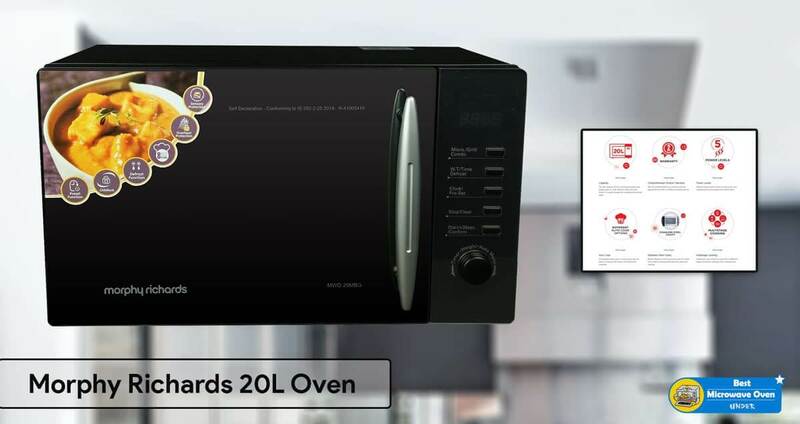 If you like Punjabi-style lachha parathas, Mughal-inspired Tandoori rotis, and delicious butter naans, this Microwave won’t disappoint you because of its Tandoor technology which replicates tandoor-like conditions with a temperature of up to 200-degree Celsius. Large 28L Capacity for faster cooking. Trust and support of LG brand. Warranty: 3 years on product. Not any that I found. 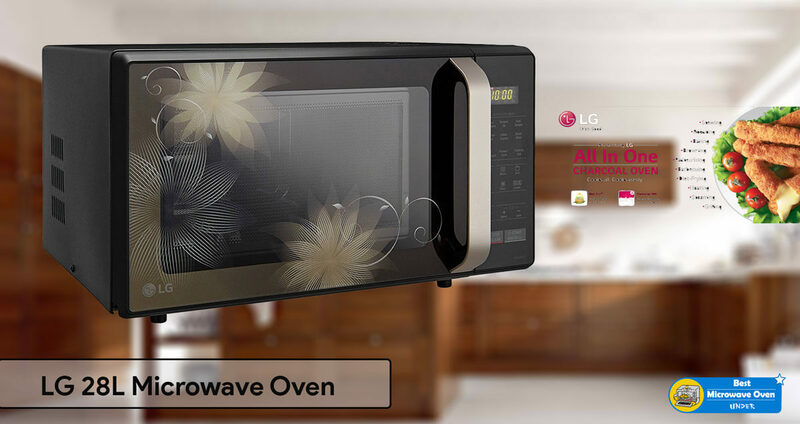 LG 28L Microwave is also known as Charcoal Oven as it provides everything you expect from a Microwave appliance like Stewing, roasting, baking, browning, Pasteurizing, Barbecuing, Diet-Frying, heating, steaming and grilling. This is the best LG Microwave with over 251 Auto cook menus that won’t let you stay hungry. The Stainless Steel Cavity enables better reflection and uniformity of heating inside the cavity for better even cooking. Unlike other Microwave ovens, this cavity doesn’t peel off and last lifetime. The unique feature of this Microwave is Diet fry (High on taste, light on waist), which cooks your dishes with the least oil similar to an Air Fryer. This Microwave is the only appliance in this list, which comes with Ghee Auto cook menu which prepares Ghee in 12 mins. If you want a quality product and don’t mind spending some extra bucks, this should be your go-to Microwave oven. Very Sleek and elegant design. Auto cook menus just work amazingly. The Microwave oven is bit noisy. Convection mode is not so great for baking cakes even with the Auto-cook menu provided with the Oven. Morphy Richards, the England brand known for its premium Kitchen appliances which offer excellent quality; has made up to our list of best Convection Microwave Oven. 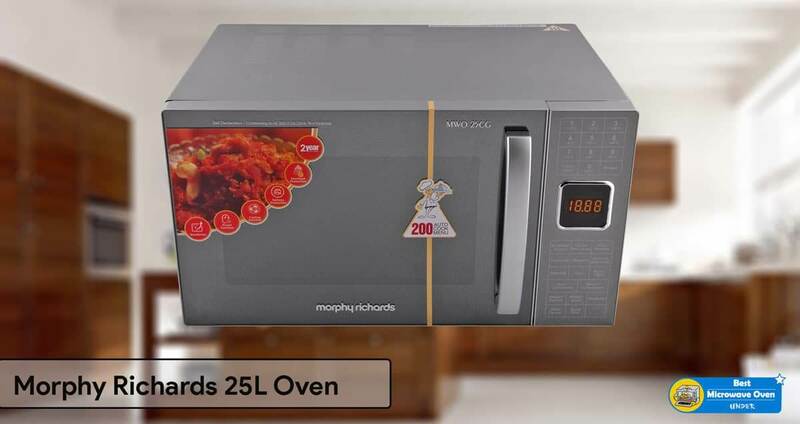 This Morphy Richard 23 litre convection oven has a stainless steel cavity, which keeps the interiors of the cavity scratch-free and stain-resistant and makes your cleaning process quicker. The stainless steel cavity also ensures better reflection of microwave rays for much faster and power efficient cooking. This Microwave comes with a beautiful Mirror finished doors which adds up to your kitchen’s overall classy look. With 1300 volts being the average power consumption in the microwave mode, an output power of 800W is assured. It consumes 1200W in Convection and Grill modes. The Microwave comes with 11 level of heating to ensure much more precise cooking as per your requirement. To ease the process of selecting the power levels, this is the only Microwave which comes with 11 Power level buttons which can change the overall heat inside the microwave with a touch of a button. The Digital display is reasonably bright to provide a clear view in broad daylight. This Microwave comes with pre-programmed Auto cook menus which can help you prepare delicious dishes without the hassle of selecting different options. Best for moderate cooking like baking, grilling. 20L is sufficient if you have a small family. Nothing that I found during the testing period. IFB, the name is enough in the Microwave oven industry. With over a decade of experience in making kitchen appliances, IFB products are generally excellent at durability. This 20L Microwave Oven is superior in looks with the glass finish which provides a premium look to it. This Microwave consumes around 1200 watts of power which is decent for its size and functions. Talking about the overall design of this Microwave oven, it’s possibly the best looking Microwave Oven in India at this price. It has a holding capacity of 20L which is relatively decent for a family of 4. The Microwave comes with 10 Temperature and ten power levels to allow you to select the most suitable heating conditions for the best cooking. Along with many other features, it also comes with a unique Combi-Tech function which enables you to use Grill and Microwave at the same time. If you plan to make sandwiches in your oven, this Combi-Tech feature would be beneficial in such situations. The only downside to this product is the service offered from IFB for its Microwave oven. While I have never faced any such issues, most people complain about their service is a bit slow. Value for money with 10 years of warranty! Healthy cooking due to no chipping of color. TDS (Triple Distribution System) Technology. Doesn’t come with any utensils. No kit provided with the product whereas it’s mentioned on the Amazon page. 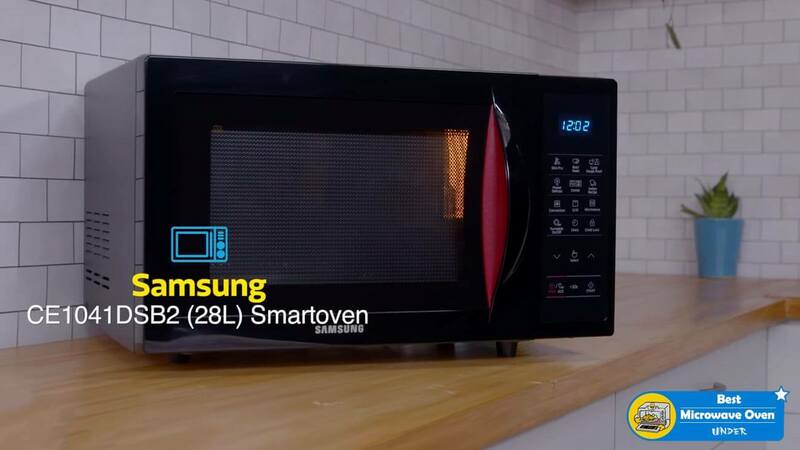 It is the second Samsung Microwave in this list. Well, why not? Samsung is known for the trust and the quality of the appliance they make. This 21L Samsung Microwave oven is no different. It has got all the bells and whistles that you can expect from a Microwave in this range. Samsung Microwaves are the only one in the industry, which comes with a Ceramic Enamel coating to protect the inner surface from scratches for a lifetime. And the most exciting part, this Microwave comes with a 10 Yr warranty! The company claims this Microwave to be scratch proof, and no discoloration would occur during this 10 yrs. This Samsung 800 watt microwave oven is not just a stunner in looks but also offers equally impressive performance. This microwave oven includes a triple distribution system that enables perfect cooking of food by even heat distribution from all sides via the three antennas. 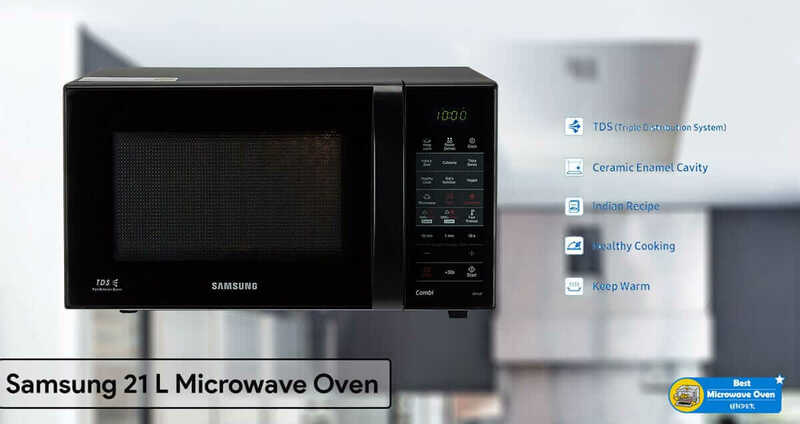 The Samsung microwave oven also has a rapid defrost feature that defrosts frozen food quickly to room temperature and aids in the better cooking of the food. Another unique feature of this oven is its Eco button that helps in saving standby power up to 40 percent and thereby saves a lot of energy. Large 30L Capacity for less price. Less buttons to prevent confusions. Misses out on many Auto-cook features. Godrej is another trusted Indian brand which provides a high-quality appliance at a moderate price. This 30 L Microwave by Godrej has all the features you would expect from any other Microwave brand. This Microwave comes with a floral panel just like most of the Microwaves in this list. The Microwave looks very well built and adds great appeal to your kitchen layout. It comes with an anti-bacterial Stainless steel cavity which prevents and bacteria inside the Microwave. Unfortunately, the microwave misses out on steam/auto clean. Coming on to the features of this Microwave, it comes with a unique Preset option which allows you to that lets you set the cooking option in advance while you can manage other chores. It comes with Auto-cook menus, child lock, and combination cooking. Surely a buy if you’re a Godrej fan or else, this Microwave doesn’t offer any WOW feature. Bajaj, a name which immediately reminds you of one of India’s most trusted brand with a significant focus on value for money products. This 23L microwave is no different; it has elegant looks as well as features which makes it a good buy in this list. But why is the Microwave deep down in the list? Well, Bajaj has decidedly fewer Microwaves in the market. While it doesn’t make any difference in quality, but it sure makes a difference in service. Looks very elegant with buttons placed perfectly. A knob provides better cooking and helps in heavy duty. Has combination cooking of Microwave+Grill+Convection. Material quality is not good. Only has 4 levels of heating. This Morphy Richards 20MBG comes with a capacity of 20 litres. The microwave is equipped with the multi-stage cooking feature which lets you cook and grill separately. There are many modes of operation that the microwave provides. You can choose the perfect setting for your dish by using the mirror finish control panel. Navigate between the various modes of operation, set the time for which you want your food to cook, and you are all set to relish your dishes freshly prepared. You can also defrost the food right after you have taken it out of the refrigerator by using the defrost function. One other feature that makes this microwave oven a must-have piece in your kitchen is the powder coated cavity. The appliance consumes 1270 watts and operates on 230V 50Hz AC supply. Buy this microwave oven from the house of Morphy Richards and enhance the taste of your various dishes. 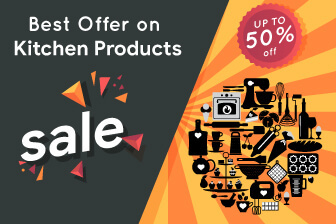 Shop for your favorite products on Amazon India and experience the joy of shopping online. Why do you need a Microwave Oven? Leading such hectic lifestyles, individuals often disregard fueling their bodies with proper nutrition. Be it untimely meals, unbalanced proportions of macronutrients or even completely skipping meals altogether. Work life compels us to be ignorant towards our own health and well being. Such ignorance is the prime reason for our susceptibility to trivial infections and gradually degrading our immune system. One of the major reasons of the above mentioned problems is the time consuming meal preparation methods. It can’t be denied that traditional stove-top cooking can often be an irritating job; especially after a long day at work! These are the times when you need a helping hand in the kitchen the most. Why not consider having it a bit easier by getting a personal microwave oven? Convenience is the objective after all! Buying a personal microwave oven can potentially cut your cooking time and effort in half. Moreover, with precisely calculated cooking times, you have to struggle really hard to mess a dish up. Remember any instance where you kept something on the stove-top and completely forgot about it ? Well, i do. In fact, I’m having multiple flashbacks. This occurrence will indeed be a thing of the past. Microwave ovens are equipped with buzzers that notify you as soon as the set timer is complete. I told you! Messing a dish up is hard when you have the best convection oven at your service. But before buying a Microwave Oven; just like every other appliances, it’s important to know your requirements. Truth be told, 100 convection microwaves oven are coming out every year, but there’s one small catch: most of you see on the shelf today are not even worthy your money. And if you rely on sponsored reviews to choose the right microwave oven, you are doing yourself a disservice. Anyone who tells you that you need an expensive or cheap microwave oven, either hasn’t used a microwave before or they’re just trying to make some profit. But here’s is the interesting fact, Most people that feed you that information don’t even know your needs. Bear with me, because I’m going to show you how to choose the right microwave! Visit any reviews on the internet and you will find the following comment when it comes to choosing a convection microwave oven. But here’s the problem and give me a chance to explain. If you buy a microwave oven today and let’s say you want to use 50% of the heat which is 500W and if you have 1000W microwave, what about the energy wasted? The microwave oven will give 100% output of heat even when you set it at 50% or 20%. This means, uneven heat which leads to burnt cakes and puddle butter. Even the preset settings won’t be of help unless they come with sensors. And most reviews you read online, never tell you this. It’s not their fault, it’s just that most of them don’t use microwave or choose to be ignorant. So, what’s the point? You need a microwave with linear power control or choose an inverter-based unit. Unlike traditional microwave, an Inverter oven produces 50% heat output, when you set it to 50% and 100% when you set them at 100%. And the best part is, you won’t have uneven heat or overcooked food. Microwave ovens are available in multiple sizes in order to cater your needs according to your family size. However, to decide the external dimensions of your personal microwave oven, you need to first decide the spot where you will place your oven. Proportionate to the available area to place the oven, you should decide the outer dimensions of the oven. The external size of a microwave oven can further be decided based on the desired weight and power output of the appliance. 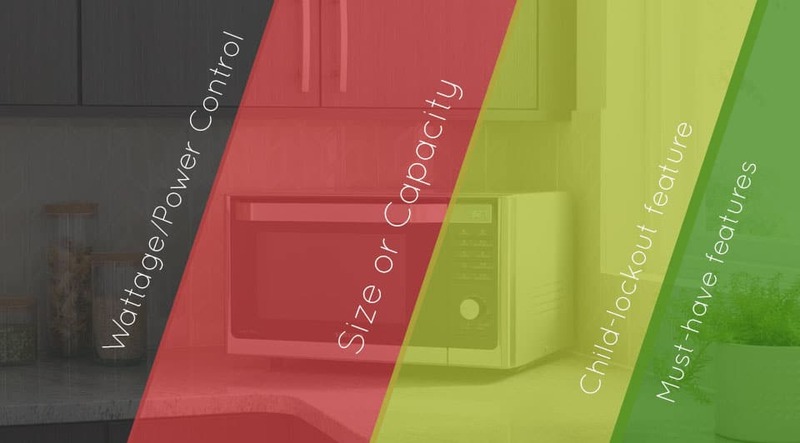 Overall, the external dimensions of a microwave should primarily be a function of your Countertop space restrictions. When it comes to choosing a microwave oven, size matters a lot. In fact, if you have a family of four, you’ll need a big microwave oven. In other words, you may need a microwave oven that has two or more shelves, because they allow you to maximize the space well. If you have a small family or you are living alone, you can choose a 0.5 cubic feet microwave oven that can help you prepare coffee and soups very quickly. The size also depends on the nature of work you need to do with a microwave oven. For instance, if you are into baking or want to use one for your restaurant, then you need big model that works fast. Briefly, the internal capacity of a microwave oven should be based on the amount of food you intend to cook which indirectly depends on the size of your family. 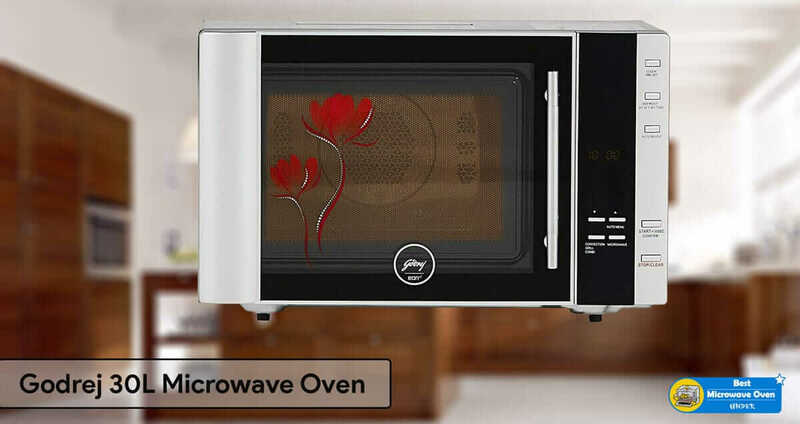 Whether you are looking for a Solo Microwave oven, high-end Microwave oven or any other type of Microwave Oven, there are certain features that you need in a microwave. In fact, any microwave without these features is a waste of cash. We have enlisted some of the basic must-have features below, that should be present in any microwave oven in order to qualify as a convenient kitchen appliance. Almost all recent models of wall microwave ovens are equipped with humidity sensors. These are specialized components that are responsible for automatic adjustment of cooking time and temperature in response to the humidity levels inside the cooking cavity. This provision enables you to perfectly cook your meals. Rotating glass turntables are one of the essentials that every microwave oven must have. These help you out in evenly cooking dishes from all sides. Consequently, you do not have to interrupt the microwave oven to rotate the dishes manually. Moreover, these are detachable. So, you have the convenience of using them only when required. Microwave ovens that do not have metal racks in interior cooking cavity often partially heat the food. The layer in contact with the base of the cooking cavity is under cooked at times. To avoid such inconveniences, it is best to look for a microwave oven that has metal racks. The racks elevate the food and facilitate even heat distribution around it to ensure uniform cooking. All cook must be familiar with the conscious frequent adjustments of the flame while cooking on a stove-top. The regulation of heat along the cooking session is the key to perfectly cooked meals. On the other hand, microwave cooking enables you to automatically adjust cooking temperature along the course of preparation. This feature is a must-have if you prioritize convenience. The user interface is a yet another crucial element to look for, when buying a new microwave oven. A numeric input medium is a much more accurate than a dial or knob control. A user interface with numeric keypad can enhance precision and convenience. If you have a kid at home who can’t operate the microwave or you just need to keep the kid away from using the microwave oven, you’ll need to use a microwave oven that has a press sequence to. This kind of microwave oven allows you to press a sequence of numbers (1234) before they can even run. And the best part is, this keeps your kid safe. You’ll never have to worry about your children being alone in the house with such electrical appliances at loose. Now that we’ve a fair idea of what features to look for, in a microwave oven, let’s look at the best convection microwave ovens that most culinary connoisseurs would recommend you. If you’re budget is constrained, you check our list of Best Microwave oven under Rs. 10000 & under Rs. 5000. Don’t be an average buyer who thinks expensive means quality. We have made the most perfect list with the lowest Price guaranteed on the web! If you are looking to buy a microwave today, you need to be a smart shopper. You need to know the features that matter to you and how those features can make it easy your cooking. I consider microwave to be a must-have kitchen appliance in every home. You may not feel the urgency to have your convection microwave at the moment, but a time comes when you need to save time in the kitchen. During such time, when you have an important appointment or a special guest at home, all you will be thinking, is why didn’t you get a microwave. Not only will save you time but it will help you become efficient especially if you are multitasking in the kitchen. Yes, you can choose from our selection of Best Convection Microwave Oven in India. Which one is best to bake cookies and Cakes/cup cakes? I’m planning to start up a cookie/cake making using organic products and to retail it with neighbors. Which one you suggest for this? and, what would be best L for this purpose. Which microwave oven is perfect for family of 6 people for daily use? This is the most updated and genuine review for best convection microwave oven in India. After searching on Google, I found few blogs with too much of out of stock and outdated Microwaves. Thanks for atleast updating your products every month! Good luck. I prefer the IFB Convection oven, over Morphy richards as I trust Indian Microwave brand. Also the after sales service of IFB is better than morphy. I want to buy a new Microwave oven, which brand do you prefer? IFB, LG, Morphy Richards, Samsung or Bajaj or any other brands.